FlexFit® caps fit over 2 sizes. Made from a Spandex blend, both the crown and elastic band stretch for comfort. If you are under a size 8 you will need a 2XL (XL/2XL). 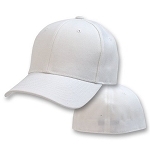 We carry several styles of FlexFit® caps. 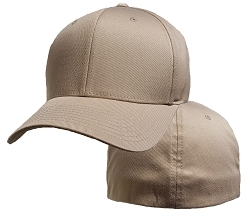 Regular FlexFit® Caps are structured caps that are plenty deep for the Cranially Endowed. 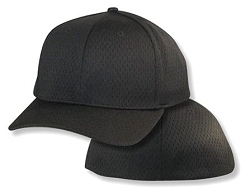 Low Profile caps are unstructured caps that fit close to your head. ProMesh caps are made of polyester, spandex blend with lots of ventilation. 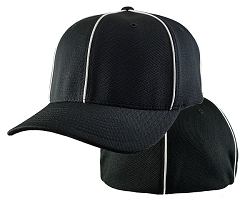 DELTA FlexFit Caps are in!!!! 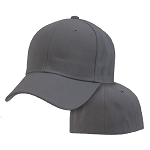 Delta 2XL FlexFit Sizing runs a little bigger due to material. Fits 7 1/2 to 8 1/8.